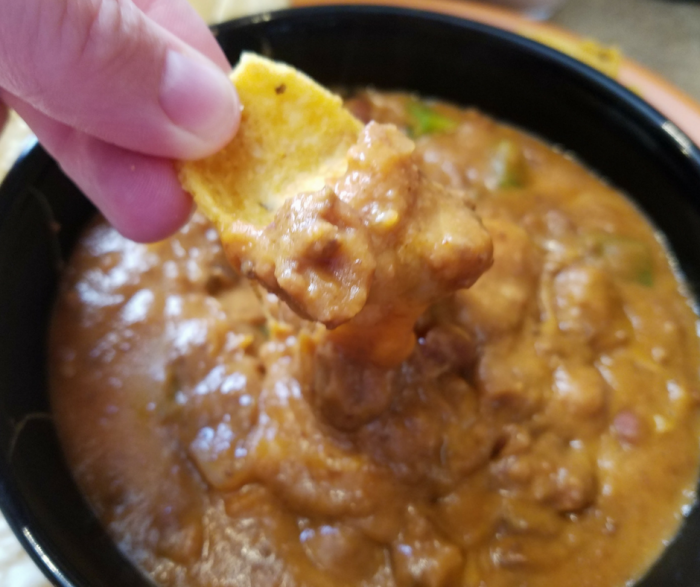 This Slow Cooker Chili Cheese Dip Recipe is one of our favorites when cold weather arrives. It’s a perfect way to enjoy a treat while we play games, watch movies, or if you prefer, for game day! I have lightened this recipe up a bit by using some Weight Watchers friendly ingredients, but it is still a delicious recipe that we all love! 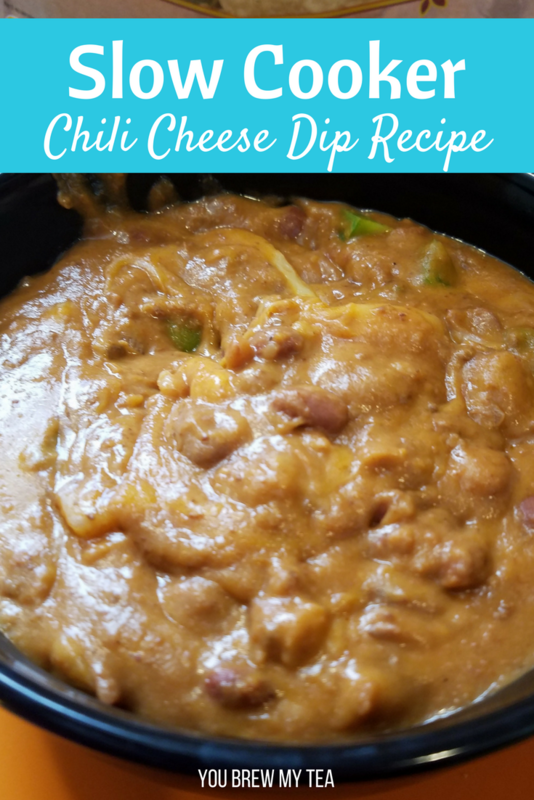 If you are looking for good options on Weight Watchers to use to dip this, I am including a few of my favorites for this chili cheese dip recipe. We have great success with Good Thins Corn Crackers, Baked Tostitos Scoops Tortilla Chips, (linked to show you what they look like, but can be found at most grocery stores for a lower price) and homemade tortilla chips using low point tortillas in the air fryer. 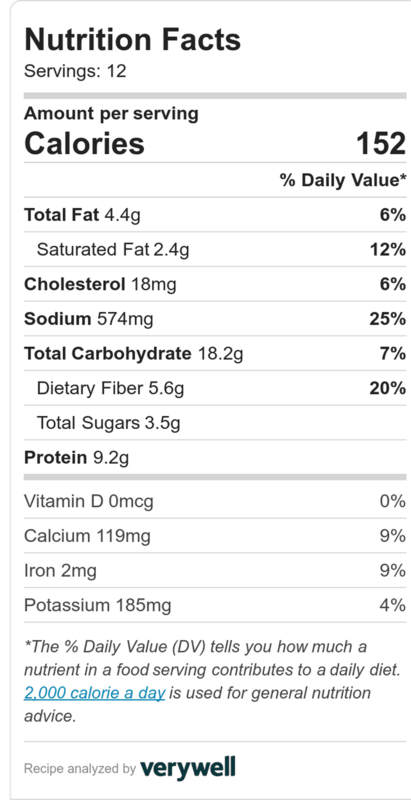 With the low points of this recipe, you can even use regular corn chips or tortilla chips to dip. Spray your slow cooker with non-stick spray to help prevent burning and sticking. Alternately, you may use a slow cooker liner. Add half of the beans, chili, bell pepper, and onion in the slow cooker and stir. Add half the cheese slices on top of the mixture. Add remaining beans, chili, bell pepper, and onion in the slow cooker and top with remaining cheese slices. Cook on low heat for 1 1/2 hours. Remove the lid and stir the mixture. If the mixture is heated through and cheese melted, feel free to serve. If not, place the lid back on the slow cooker and continue cooking for an additional hour. Leave on warm if serving at a party or event. Tip: I use a Slow Cooker Liner for dips like these so it doesn’t burn or stick to the sides of the slow cooker. It makes cleanup a lot easier to manage. Cook on low heat for 1½ hours. 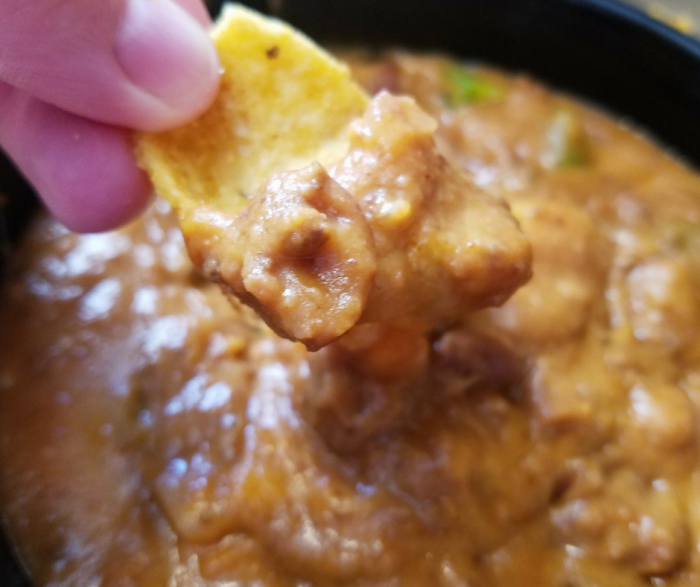 Making slow cooker chili cheese dip is a great way to add some flavor to a party. You’ll feel zero guilt about eating this, and you’ll love how rich and flavorful it can be! 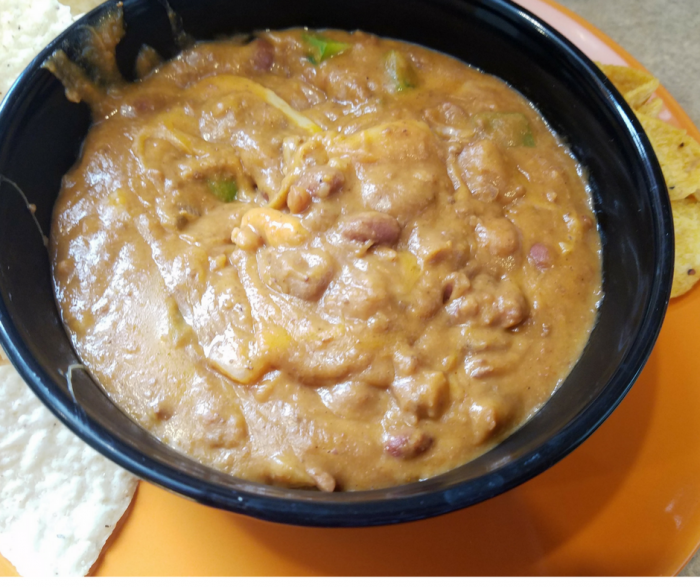 With the addition of beans as a zero point food now, you can easily adapt this recipe to suit your preferences and still remain low in points.